From There to Here: Part V: O Canada! Since moving abroad, it's become blatantly obvious how little people know about our vast and awesome country. We're often mistaken for our Southern neighbours and while we have a lot in common, we most definitely have our own unique culture. I've teamed up with some of my favourite Canadian bloggers, expats and travellers to share with you some things that are distinctly Canadian. July 1 marks our great nation's birthday! On July 1, 1867, four British provinces joined together to make the Dominion of Canada in what we call 'Confederation.' Nova Scotia, New Brunswick, Ontario and Quebec were first but it wasn't long before the provinces to the West and the territories to the North joined in creating the second largest country in the world. Canada Day, as we call it, takes place every year on July 1 and it is a National Holiday for all Canadians. 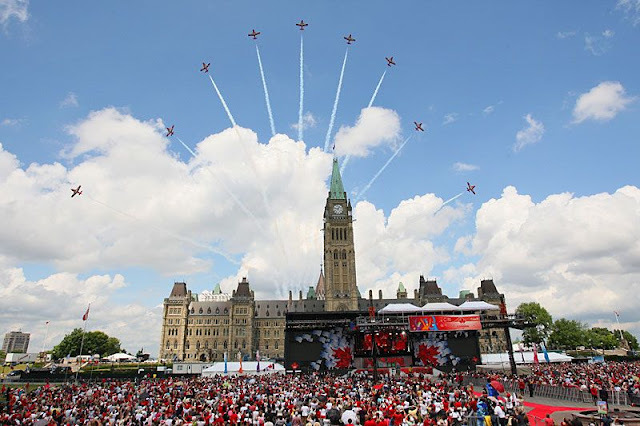 It's celebrated in communities across our country with BBQs, concerts, cake and fireworks but the most famous celebration is located in our nation's capital, Ottawa. Parliament Hill hosts thousands and thousands of people as we celebrate the great country we are lucky enough to call home. This year, Joe and I will be crossing the Atlantic but you can bet that we'll toast a very Happy 146th Birthday Canada! Ontario is known for it’s abundance of lakes and a gorgeous area in Southeast Ontario unofficially known as “cottage country”. I’m told this is something that most of the other provinces have but Ontario is especially known for it. From May to September, you can often count on family, friends and neighbours to at some point mention they’re “going to the cottage for the weekend”. Growing up in Ontario meant cottages on the weekend; whether it was a family owned cottage or a rented property, it was just something everyone did. My step-father’s parents had a lovely cottage just outside Perth, Ontario on Mississippi Lake. As this was only about a 50 minute drive from our house, we spent almost every summer weekend up there, sometimes even just going for the day. There is nothing better than pulling up to the cottage, running inside to change and then dashing down the dock to fling yourself into the freezing cold water of the lake. Of course we always sent my little brother in first to clear the fishes! 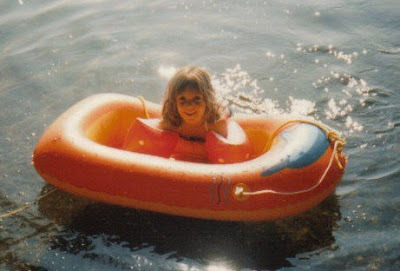 We spent hours swimming in the lake, waterskiing or tubing off the back of my grandpa’s boat or fighting over the giant hammock strewn between two massive trees. We would fish off the end of the dock or sometimes in the middle of the lake using the boat. The great days were the ones my grandpa would load us into the boat and drive over to the marina at the opposite end of the lake, where we would play on the beach and get ice cream cones. The best part of the cottage, aside from getting away from the loud bustle of the city, was sitting around the outdoor fire pit at night, watching the flames jump, listening to the loons calling on the water and making s’mores. S’mores is a distinctly North American treat as I have yet to meet anyone outside of the continent that knows about it. Graham cracker biscuits, fluffy marshmallows and a square of delicious chocolate: the best cottage snack known to man. Marshmallows go on a stick with a pointy end, roasted in the fire (sometimes burnt to a crisp) and then smushed between two graham crackers with the chocolate square. Ooozy goodness. When you grew up, cottages became the place for teenage and (young) adult parties. Many weekends were spent with a “two-four” (24 pack) of beer, several bottles of wine and lots of meat for the BBQ! S’mores were still, of course, eaten in abundance as no sane adult misses the opportunity to eat s’mores! 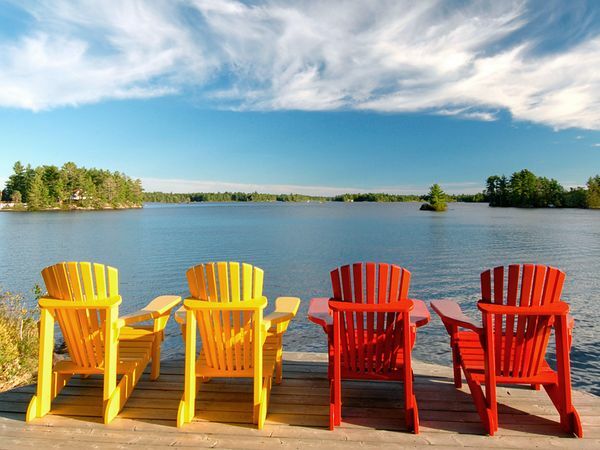 When you picture Canada, you don’t think of summer but, in Ontario especially, summer is a big part of our culture and cottage country is a major player in that culture. I haven’t lived in Ontario in 9 years but I still miss going to the cottage. happy happy birth of canada day! Happy Canada day! I've always thought it's so interesting that at least 3 of the world's big countries (Canada, US, and France) have birthdays/independence days that are so close together. July babies! ;) it makes me wonder how many other countries celebrate independence in July. Hope you had a great Canada Day Melissa! What a great post for Canada Day!! Feeling a little homesick today but my co-workers (all Honduran) decided to celebrate with me by doing what they think Canadians are best at - drinking beer! (Luckily we had no dives today.) Sarah's post was awesome too... soooooooo glad just to even read the words "two four". I had no idea that was Canadian until I started traveling!